Srinivas Mukhyla, age 35, passed away in his sleep on Feb 8th, 2019. 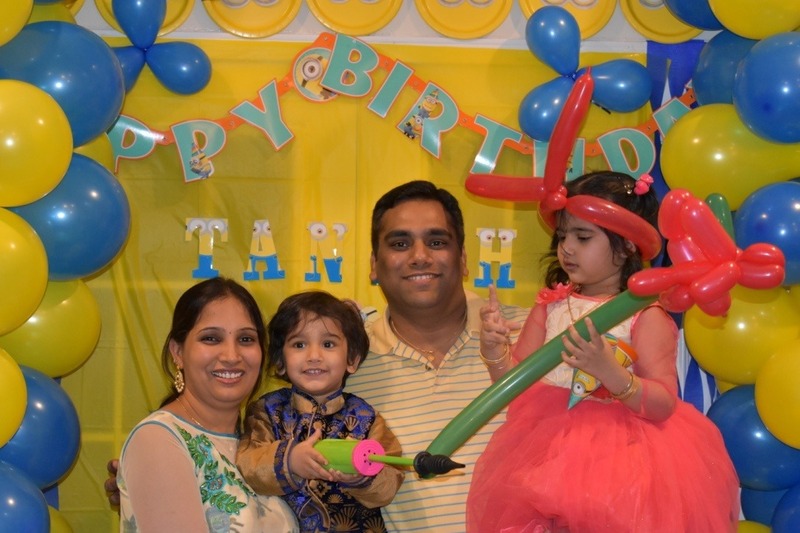 Srinivas was living with his wife, Sudha, and two kids, boy 4 yrs(Tanish) and girl 6 yrs(Tarini). Srinivas grew up in Hyderabad, Moula-Ali and moved with family to Los Angeles, USA on H1B in 2013 and then moved to Frisco, TX in 2016. He was a fun loving guy, always ready to help others. He was working for Toyota. His parents in India wish to see their son for one last time. His friends and family are helping his wife and kids move back to India. Srinivas's body will be sent back to India for final rituals. He is the only son of his parents, he has an elder sister in India. Srinivas was a healthy, gym going young man. His sudden death, following a simple Flu and chest pain, is a shock for his entire family and friends. NATS Helpline team is actively working with family members and friends and funeral home to make all funeral arrangements and fund raising support. If you could support his family by making a donation, and share this message to your Friends and Families, it will help his family for further proceedings and future needs. We really appreciate your help in this regard. Thank you for all your generous contribution to Srinivas Mukhyla's family support.